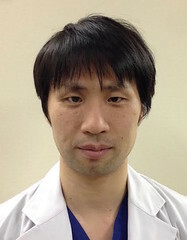 Post written by Osamu Dohi, MD, PhD, from the Department of Molecular Gastroenterology and Hepatology, Graduate School of Medical Science, and the Department of Gastroenterology and Hepatology, North Medical Center, Kyoto Prefectural University of Medicine, Kyoto, Japan. Blue laser imaging (BLI) is one of the image-enhanced endoscopic techniques with a combination of 2 narrow lasers. BLI-bright, a brighter BLI, is expected to be more useful than conventional white-light imaging (WLI) for the detection of early gastric cancer (EGC) via distant views. However, the diagnostic performance of BLI-bright in the real-time detection of EGC has not been investigated to date. We performed both imaging modalities in back-to-back examinations such that primary WLI was followed by BLI-bright in the primary WLI group and primary BLI-bright was followed by WLI in the primary BLI-bright group. 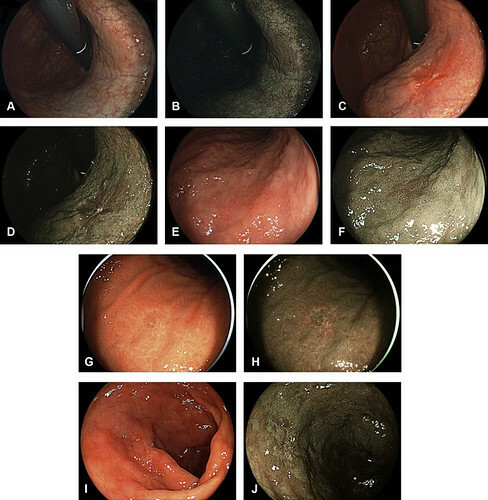 Gastric cancer had been missed during upper gastrointestinal endoscopy using white-light imaging (WLI) in approximately 5 to 25% of cases. Therefore, white-light imaging has a limited ability to detect early gastric cancer. Thus, we aimed to investigate whether BLI-bright is more effective than white-light imaging for real-time detection of early gastric cancer. The incidences of gastric cancer were 93.1% (27/29) and 50% (12/24) using primary BLI-bright and primary WLI, respectively, with significant differences. Moreover, BLI-bright can significantly detect EGCs in high-risk patients with H. pylori negative, a history of EGC, and open-type atrophic mucosa. In conclusion, BLI-bright has a higher real-time EGC detection rate than WLI. BLI-bright should be performed during surveillance endoscopy in patients at high risk for EGC. Linked color imaging (LCI) has recently been introduced as a novel image-enhanced endoscopic technique using the same laser light settings of BL-bright with a color tone similar to that of WLI. LCI identifies minute differences in the color of the mucosa similar to BLI-bright. Hence, BLI-bright or LCI could be standard modalities for the detection of EGC in the future. Figure 3. Representative images of cancer lesions. A superficial elevated lesion in the lesser curvature of the upper gastric body (well-differentiated adenocarcinoma, 20 mm, depth m, ly0, v0). A, WLI image showing an irregular mucosal area with an irregular reddish margin, which was diagnosed as a cancerous lesion. B, BLI-bright image showing an irregular mucosal area within a well-demarcated brownish area, which was diagnosed as a cancerous lesion. A superficial depressed lesion in the lesser curvature of the upper gastric body (moderately differentiated adenocarcinoma, 15 mm, depth sm, ly0, v0). C, WLI image showing an irregular mucosal area with an irregular reddish margin, which was diagnosed as a cancerous lesion. D, BLI-bright image showing an irregular mucosal area within a well-demarcated brownish area, which was diagnosed as a cancerous lesion. A superficial depressed lesion in the greater curvature of the upper gastric body is detected via secondary BLI-bright in an HP-negative stomach after eradication therapy (well-differentiated adenocarcinoma, 12 mm, depth m, ly0, v0). E, WLI image showing an unclear reddish area, which was diagnosed as a non-cancerous lesion. F, BLI-bright image showing an irregular mucosal area within a well-demarcated brownish area, which was diagnosed as a cancerous lesion. A superficial depressed lesion in the greater curvature of the upper gastric body was detected via secondary BLI-bright in an HP-positive stomach (poorly differentiated adenocarcinoma, 15 mm, depth m, ly0, v0). G, WLI image showing an unclear discolored area, which was diagnosed as a non-cancerous lesion. H, BLI-bright image showing irregular vessels within a well-demarcated brownish area, which was diagnosed as a cancerous lesion. A superficial depressed lesion in the anterior wall of the antrum was detected via primary BLI-bright in an HP-negative stomach after eradication therapy (well-differentiated adenocarcinoma, 8 mm, depth m, ly0, v0). (I) WLI image showing an unclear demarcated and discolored area around the intestinal metaplasia, which was diagnosed as intestinal metaplasia. J, BLI-bright image showing an irregular mucosa and vessels within a well-demarcated discolored area. The lesion was diagnosed as a cancerous lesion. BLI-bright, Blue laser imaging-bright; HP, Helicobacter pylori; WLI, white-light imaging.